RICOH THETA：A beautiful autumn day in Berlin. 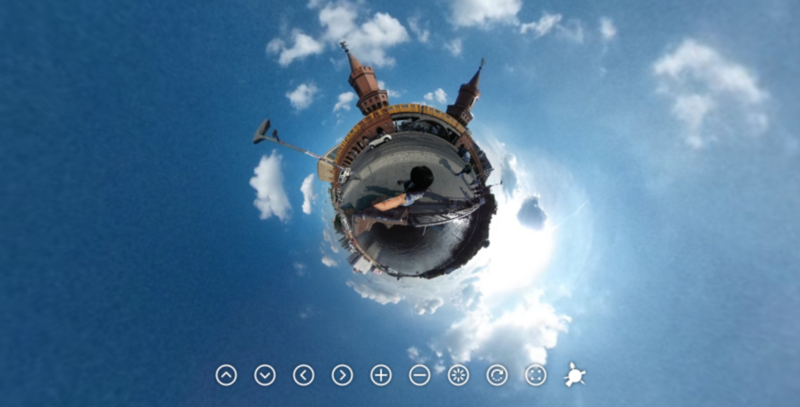 I went for a walk with RICOH THETA and did the first trial of capturing the vibrant city 360 degree. I didn't have a tripod yet and was in the pic ;-p. These are two of Berlin's landmarks, Oberbaumbrückeand and Spree.